Grandparents Day Activities and Crafts: Our parents’ parents have put a lot of them into our lives to make it a good one. They have helped us at every stage of our lives as parents, teachers, helpers, etc. They remind us what and how a single person can change and make in one lifetime for others. So, for celebrating this year’s (2015) national grandparents’ day, we have collected some of the best thoughtful crafts and thoughtful. Activities are always good and fun things to do. 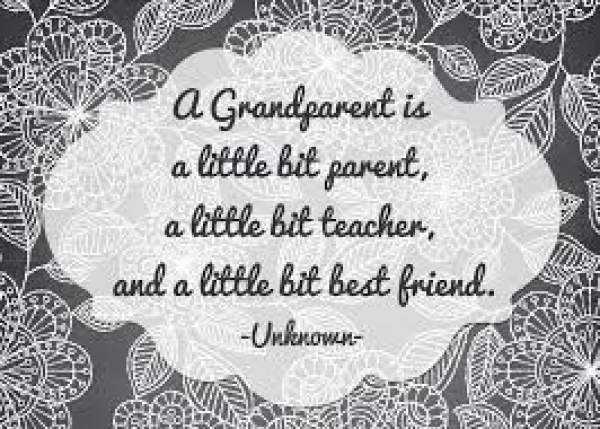 It makes a special connection between grand parents and grandchildren. Everyone enjoys being gifted, so as our grandparents do but what they really enjoy is getting the company of their grandchildren. These activities can last long for a day or even for some moments. Tip: Remember to make a Grandparent’s Day craft to give to your grandparent while you’re spending your special time together. Grandparents’ Day Poem: It is a short, simple, and sweet activity that touches everyone’s heart. The grandchildren can make them as a card and present the same. Grandparents Day Card: Making a card together will give enough time to get together and share the love. Grandkids can print and then decorate them and later on, it can be presented by grandchild to grandparent. Spend Time Together For Grandparents’ Day Coloring Page: Print some coloring pages and then spend time coloring it. This way, it will be an instant available activity for this special day and will make some quality time together. Me and My Gran hand in hand: Another good and fun activity that can be enjoyed by both the grandparents and the grandchildren while tracing out the love for one another. This makes a thoughtful impact both the sides. Singing Song: There are some certainly good songs particularly written for Grandparents day celebrations. It will make a lovely time together. Interview: Organize a grandparent-grandchild interview session. Grandparents will love to answer all questions and will tell stories. Puzzle: If you want to utilize some of your brain power, then solve a grandparents’ day puzzle together with your Grandma and Grandpa. The puzzles can be of any types like word searches, crosswords, and jigsaw etc. New Tradition: This is a favorable time to start some new and good tradition between grandparent and grandchild. There can a lot of ideas. Spend Time Outside: Spending some time together outside like going for a walk, fishing, visiting a park or any other such physical activity may spark a new bond between grand parent and grand child. Brag Book or Album: Create an album of the best and candid photos taken with your grandparents. These elderly people may not be able to use the latest tech as most of the pics are stored on the hard drives these days. You can start a new tradition together. It will be fun to carry out ever year. Gift a Pet: Gifting a pet, maybe a dog will be a great present for this event. Most of the people love pets and spending time with them.